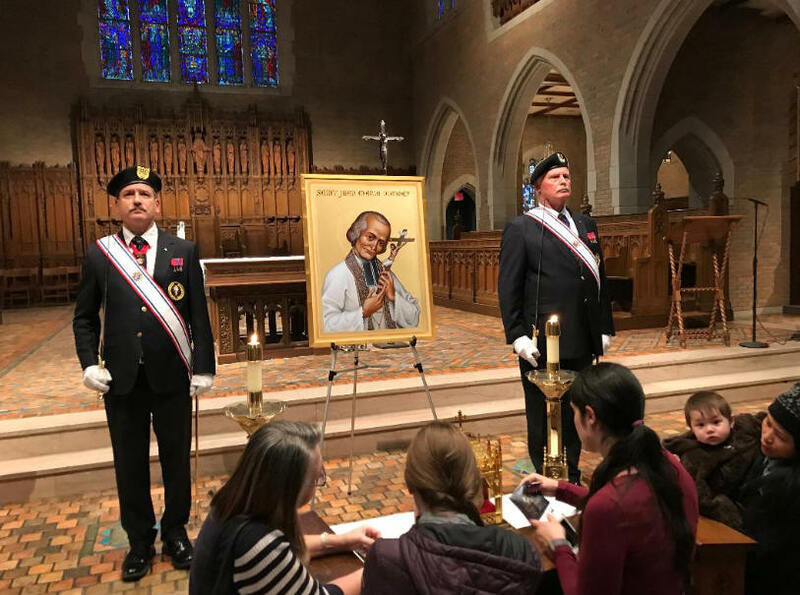 Mark Brezenski, Michigan District One Master and Cliff Wasmund, Hennepin Province Vice Supreme Master standing guard with the St John Vianney Relic Exposition at Sacred Heart Major Seminary in Detroit. 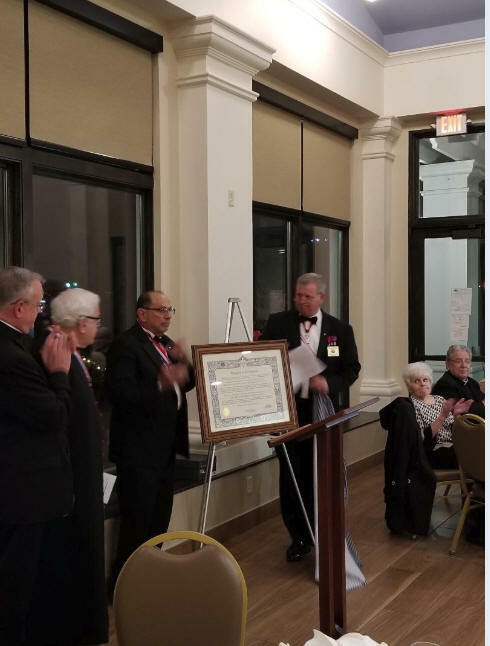 William Howe, Master of Ohio District One presents Fourth Degree Charter to SK Anthony Pondillo, FN Our Lady of Mt.Carmel Assembly #3760, newest Assembly in Ohio District One, at a banquet on 11/24/2018. 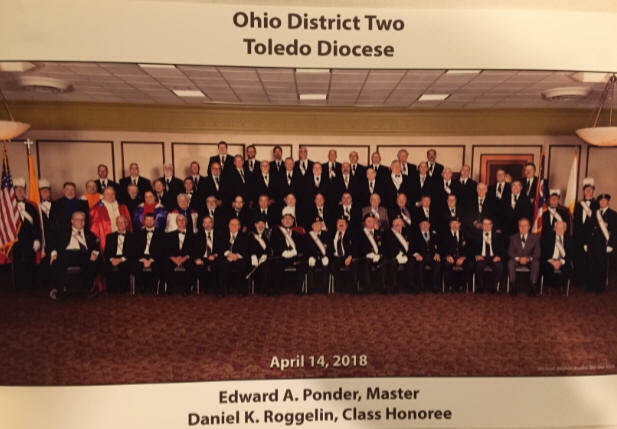 Looking on from left is Monsignor Robert Siffrin, District Friar, Ohio District One and Monsignor Michael Cariglio, Rector of the Basilica of Our Lady of Mt. Carmel and Assembly Friar. Thank you. 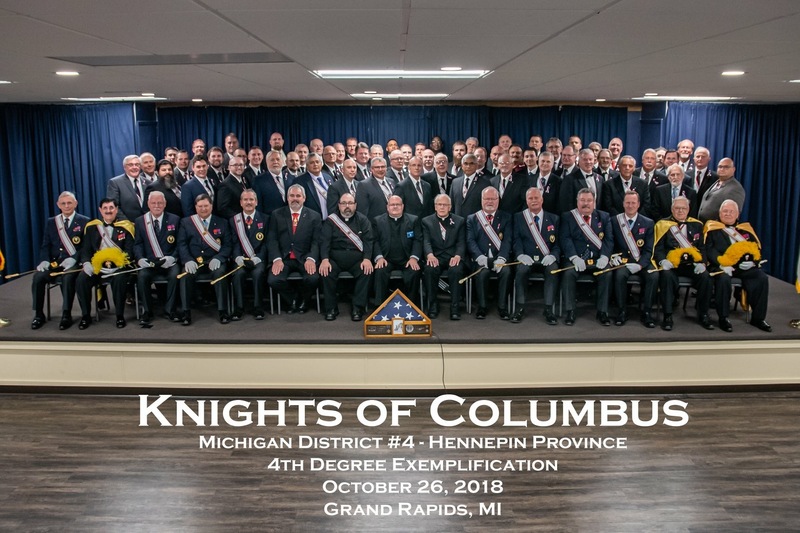 The Knights of Columbus Fourth Degree Color Corps was invited to participate in the 9-11 Patriots Day parade in Lansing, which was followed by a memorial presentation. 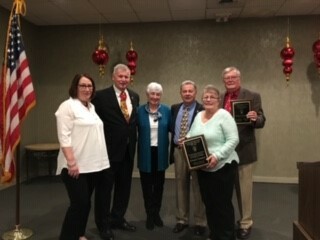 We were honored to attend. The mangled piece of steel in front of Old Glory is from the World Trade Center. Todays weather was similar to the weather on this day in 2001. Never forget! 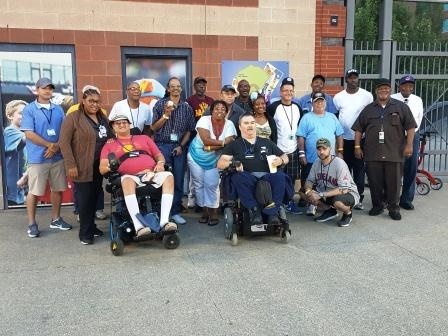 Victor J. Paul Assembly hosted veterans from the Louis Stokes VA Medical Center at the Akron Rubber Ducks baseball game. 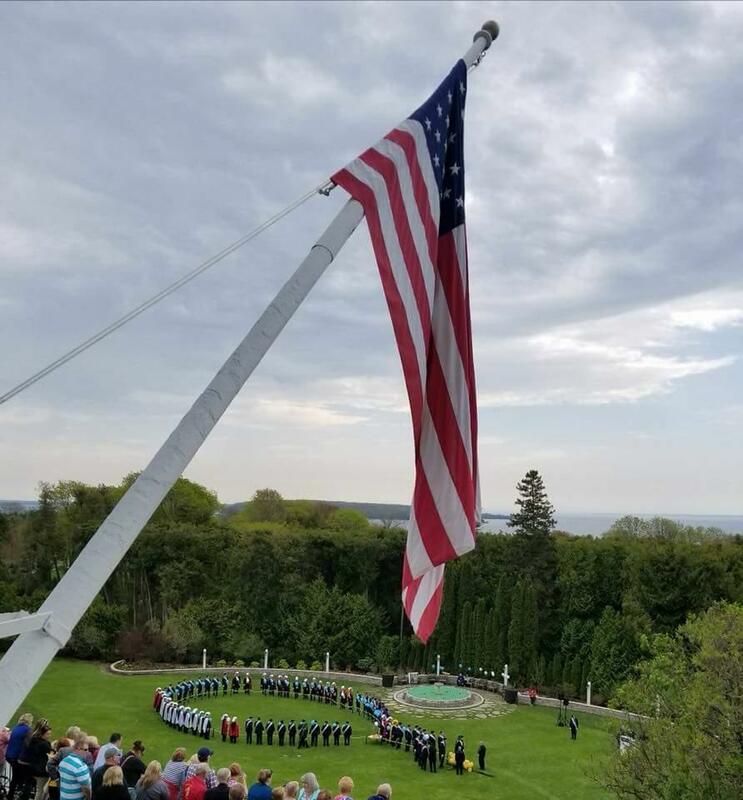 120 veterans, knights and families attended. Prior to the game everyone was treated to hamburgers and hot dogs. Navy veteran Lott Mix threw out the the ceremonial first pitch. It was a beautiful night, Akron won. A good time was had by all. 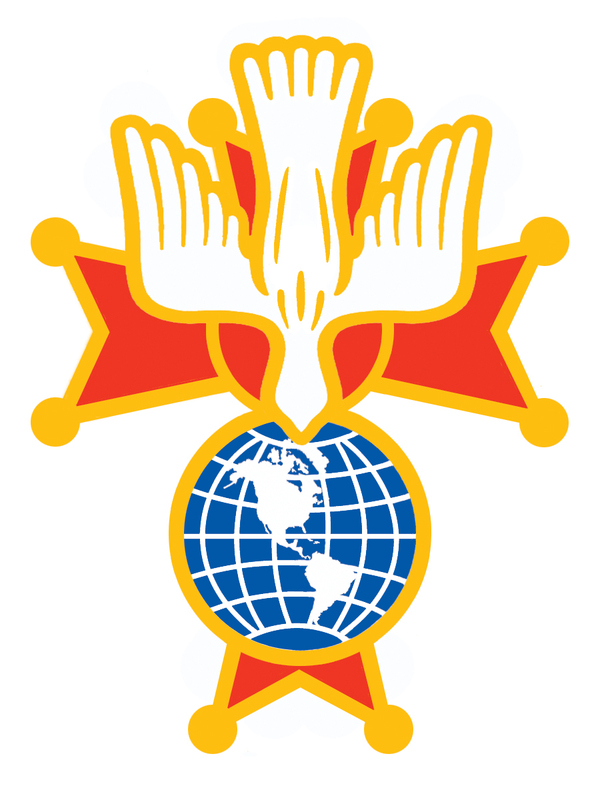 This event was sponsored, in part, by the donation from the Ohio Masters' Assm. Opening Ceremony of the Winter Special Olympics. 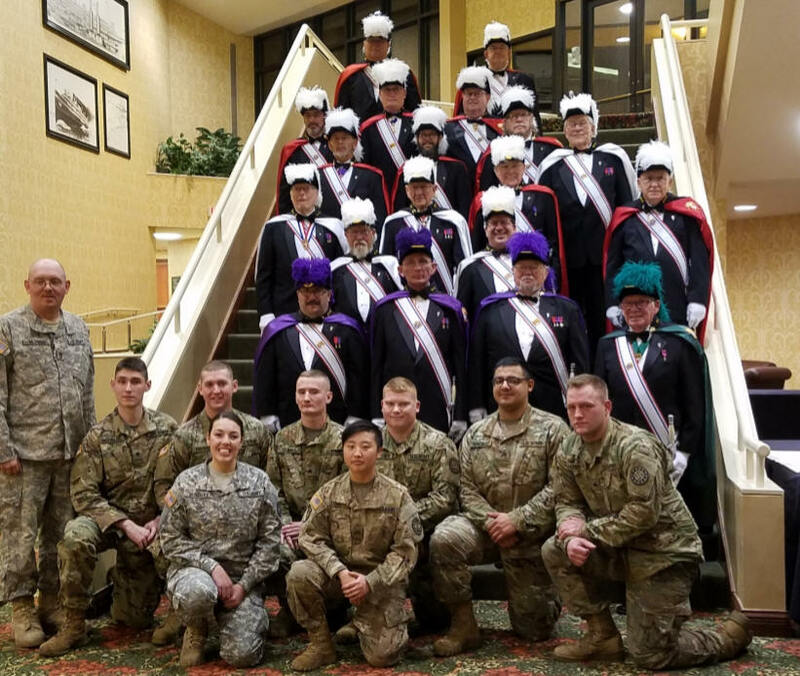 Color Corps from 4 Assemblies within the Gaylord Diocese and the National Guard Troops from the Grayling Post participated in the opening ceremony and the posting of the Colors. 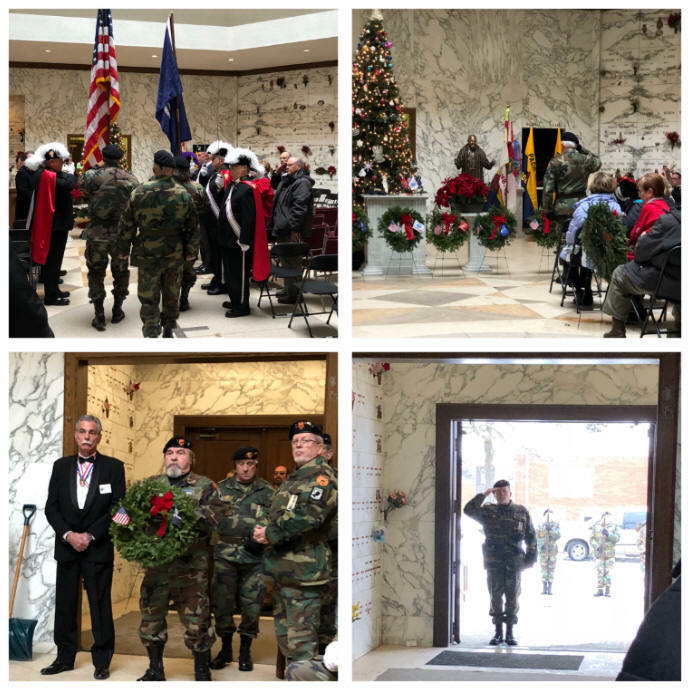 Assembly #2599 Wreaths Across America. 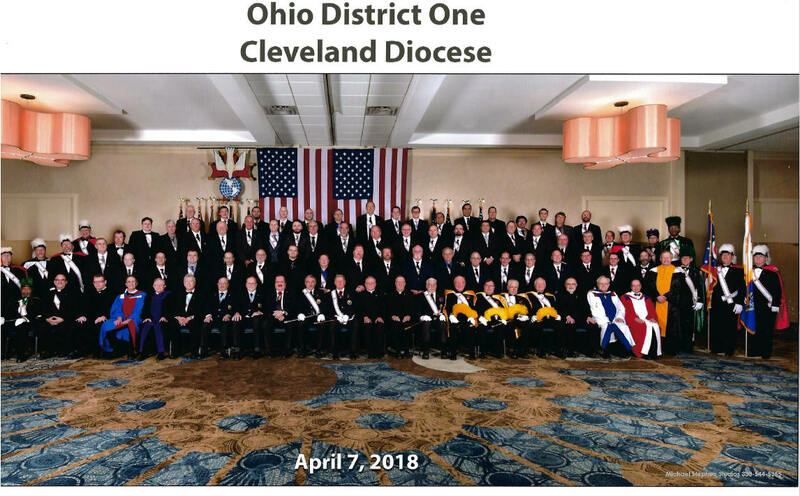 Ohio District 2, September 30, 2017 – A full weekend of activities in the Archdiocese of Cincinnati welcoming in 61 new Sir Knights and their Ladies. Wonderful ladies luncheon and program in the Atrium Terrace with beautiful music from local musicians on their dulcimers. 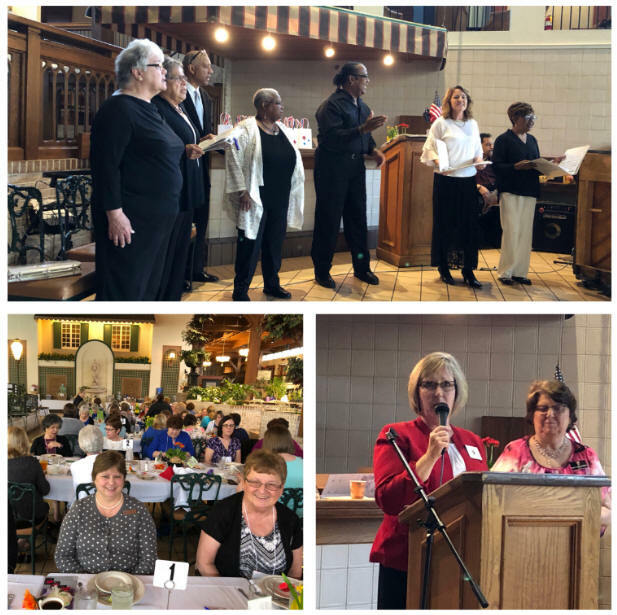 Michigan District 2, October 18, 2017 – Top picture - New Ladies of Michigan District #2. Wives of Masters of Michigan District 1, 4 and Vice Supreme Master attended to support Monica Balderson, First Lady of Michigan District #2. Between the two evening Exemps, (something new they tried) they welcomed in 82 new Sir Knights. Elizabeth Hundiak planned a vintage hat style show for the Ladies Program. Michigan District 3, October 28, 2017 – Top left – center pieces on each of the tables at the banquet. 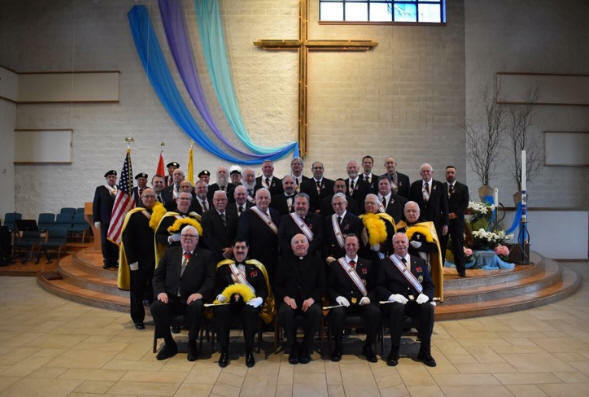 George Walrath in attendance supporting MI District #3 Master Michael Stanchina and the 22 new Sir Knights. 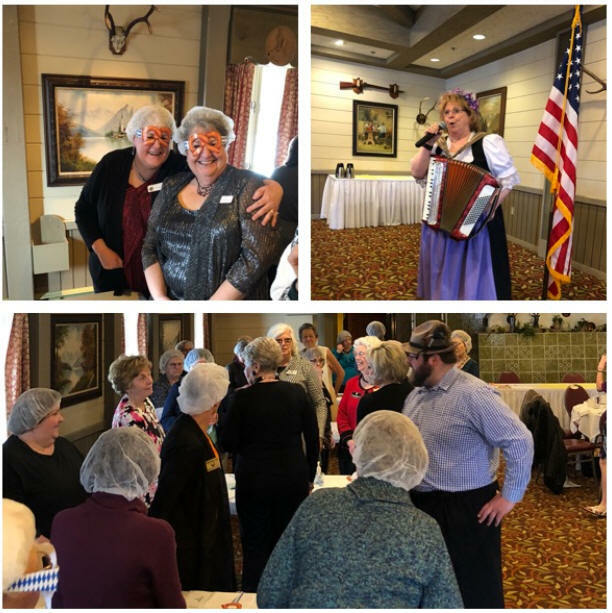 Michigan District 4, November 4, 2017 – While the Masters, VSM and MI State Deputy and Secretary were busy exemplifying 26 new Sir Knights, the ladies were entertained by Robbie Waclawski, Deputy Grand Knight of Council #1297 Sacred Heart Parish (Mt. Pleasant) who spoke about the Special Olympics (top left). 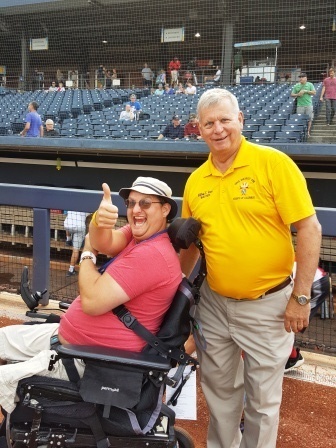 Top right – Joe Kaczynski was a gold medal winner at the Special Olympics World Games and spoke of his wonderful experiences with Special Olympics and his medal winnings.